There are many ways to stay fit and find a fulfilling community while improving your health. If you tried all the different forms of fitness, you would be trying new things for years on end. Generally, people end up sticking with fitness that provides them with community, support, and the ability to achieve the results they need. Until you find a fitness solution that provides you with just what you need out of your workouts, you’ll probably be moving from gym to club to studio. 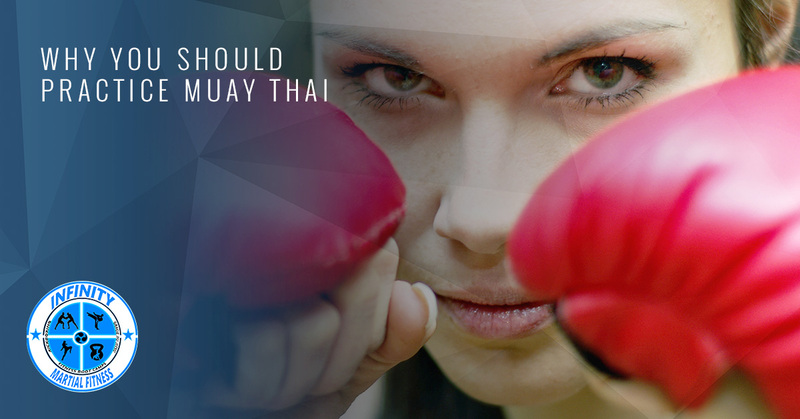 Have you considered muay thai? Many people don’t know what muay thai is. It is a striking art that uses the feet, elbows, knees, and fists for attacks. These strikes can be done from close, mid, or long range. It also includes some grappling, called the clinch, which is used to set up strikes or throw the opponent to the ground. It is a sport that requires a lot of different athletic qualities, which makes it very powerful for anyone wanting to get into better shape in general. If you have some basic knowledge about muay thai but you’re wondering whether or not you should dedicate your time and energy to it, this is the blog for you! Many people think of their abdominal muscles when they hear ‘core.’ However, the core is a lot more than that. Your core is made out of all the muscles in your trunk, including your back muscles. Muay thai is unique from other sports because it involves a lot of rotation. You get a lot of striking power when you twist back to throw kicks or punches, which requires overall core strength. It is impossible not to get a stronger core when you practice muay thai. There are few sports that can match muay thai when it comes to cardiovascular conditioning. Muay thai is both an anaerobic and aerobic sport, which puts a big load on your cardiopulmonary systems. It is a very demanding sport, but your body will adapt to it, and you will be amazed at how the improvement affects the rest of your life. Some of us are born with flexible hips, and some of us are not. However, there is no doubt that flexible hips are the only way to avoid significant injuries and health issues. Though improvement in hip flexibility cannot happen overnight, the kicking and knee motions in muay thai promote hip flexibility. Add in foam rolling and plenty of stretching, and you’ll enjoy improved hip flexibility in no time. It is impossible not get stronger in your legs when you’re doing the footwork and kicking that are all a normal part of muay thai. In fact, the roundhouse kick is a strike distinctive to muay thai. Your lower body will also get stronger as you practice agility, endurance, and force production. Your legs will never have looked so good! There aren’t many sports that actually ask you to hit things with your fists, elbows, knees, and legs. Anyone who has had the chance to go crazy on a heavy bag knows how work trouble, bill stress, or general worries suddenly come pouring out, leaving you feeling better than before. Muay thai provides a chance for you to blow of stress in a constructive way that actually has you walking out the door better than when you came in. Each workout moves quickly, giving you a chance to focus on yourself and get through whatever may be holding you down. There isn’t much of anything more confidence-building than learning ways you can defend yourself. Our coaches will work with you to ensure that your form is right and you’re getting enough power to be effective. You’ll be more comfortable in your own skin, which will make you even more effective. At Infinity Martial Fitness in Hannover, we are proud to offer muay thai training that will take your fitness to the next level. Pair it with our jiu-jitsu training for a complete empowerment!